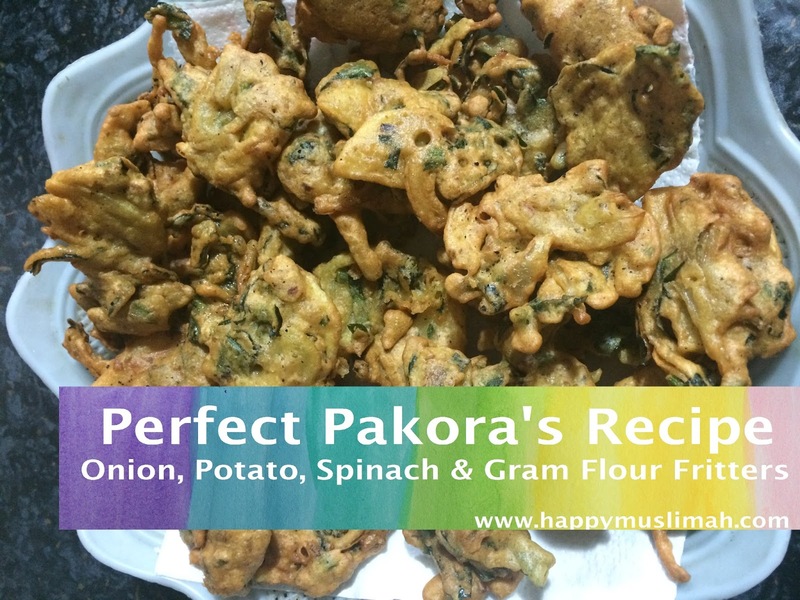 I mentioned my mum-in-laws pakoray (plural of pakora) recipe recently and said I would share. She is a decent cook and some of her dishes I like better than others, but her pakoray are just the best I have ever tasted. We sent them to a neighbour a few years ago during Ramadan and she knocked on our door to borrow my mum-in-law to show her how to make them (with Little Lady acting as interpreter between them). I have tried to reproduce as closely as possible, but you will find that they will get better once you have made it a few times and adjusted the ingredients a little to suit your taste. I usually take the cumin, ajwain and the dhanya seeds and either crush them with my mortar and pestle, or better still whizz them in my grinder for just a few seconds to really release the smell and flavours, if you don’t have these, crush the dhanya seeds by hand and add the rest as they are. Mix the gram flour and with all of the spices to form a batter, neither very runny, nor too thick, adjust the water to get a consistency that is a bit thinner than cake batter (but still thick enough to coat the back of a spoon). Add the spinach, potatoes and onions and give them a good mix. If you leave the batter for a while, you may find that the potatoes and onions release water and make the batter thinner. If this happens just add a little more gram flour until you get back the consistency you need. You will find a thinner batter gives thinner crunchier pakoray and a thicker one gives heavier, more dense pakoray. Once the pakoray are in, let them cook on high heat for 30 seconds or so, then lower to medium so that they can cook through, which should take about 6-8 minutes. Once they are solid and a nice golden brown remove them from the oil and drain. Don’t wait until they are deep brown because once they are out they look darker and will end up looking over-cooked and be a bit tough. I always recommend putting one in first to check the oil is at the right heat and also to taste the salt and chilli. The gram flour seems to soak up the salt and chilli, so I almost always find myself having to add a little more of both. Have you made Pakoray before? What would be your tips for the perfect pakoray? I made these today. DELICIOUS! !